People who cycle typically span a far wider range of abilities and experience levels than drivers (e.g. how many 10-year olds do you know that drive?). So it’s not surprising that providing a “one size fits all” cycleway can sometimes be difficult. I’m a big fan of providing alternate options, formal or informal, to address this variance in cycling skill; it can also help to quell the grumbles about new cycleways by existing riders. Another option that is always available too is simply riding on the street. It’s funny how people can get quite worked up about “cyclists” not using the big expensive cycleway that’s just been provided (hint: it’s not mandatory…), yet defend to the death the right to drive in any street they wish. One could ask “we just built an expensive motorway for you; why are you still using the parallel street?” Obviously the answer is that sometimes they need to go to a different destination that the motorway can’t provide; in the same way, a cycleway doesn’t always go where you need to go (e.g. a destination on the other side of the road). It’s great to see the roll-out of the new cycleway network and it’s opening up riding places by bike to a wider audience. 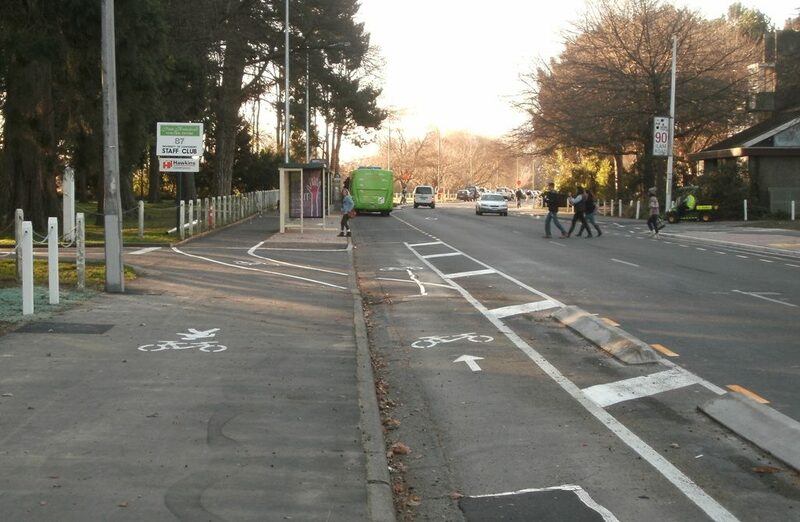 Sometimes there is room to provide multiple cycling options to suit different needs (e.g. safety vs directness). But we do also have an existing perfectly legitimate cycling network called streets that you are also welcome to use if it is more practical. 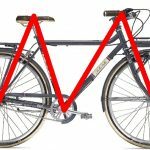 What do you think about providing multiple options for cycling? Yes and why do we need to provide on-street parking as most parks are empty most of the time anyway. Can we not make better use of these empty spaces? I travel too fast to use many of the shared pathways, so its safer for the pedestrians if I just get on the road. Cambridge Terrace is a prime example of this – too many spacially-unaware walkers – both tourists and locals. 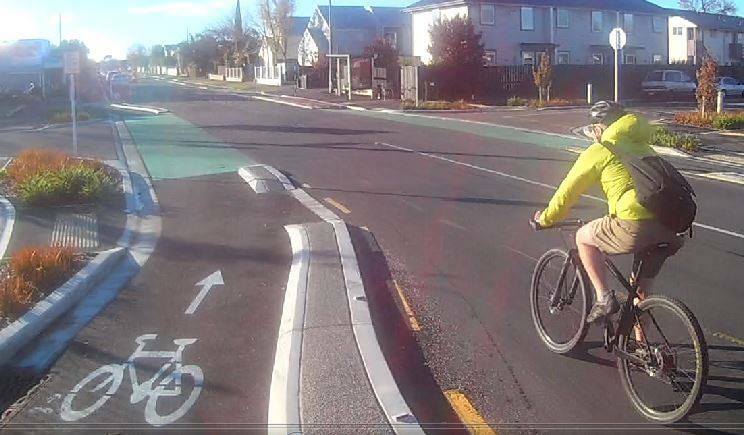 Then you get bike lanes that are blocked by one rider – St Asaph shows this – I can get all up their backwheel or I can just go around on the roadway. 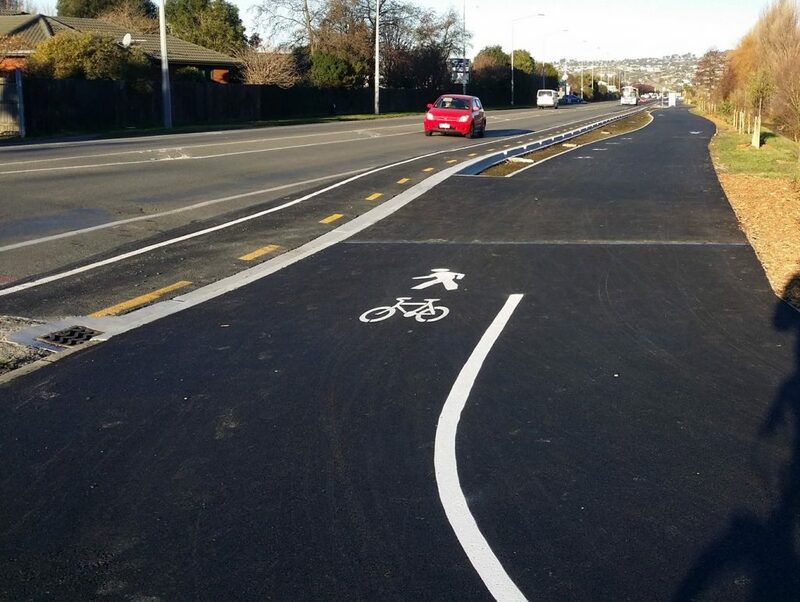 There’s no requirement to use a cycle lane, and the only roads where you can’t ride a bike are clearly labelled, like Motorways, the Lyttelton Tunnel, etc. How does one identify a cycle lane that is meant to fit two cyclists in the same direction rather than just one? I ask as somebody who has been cycling in central Christchurch for ten years and didn’t know there were two different types. 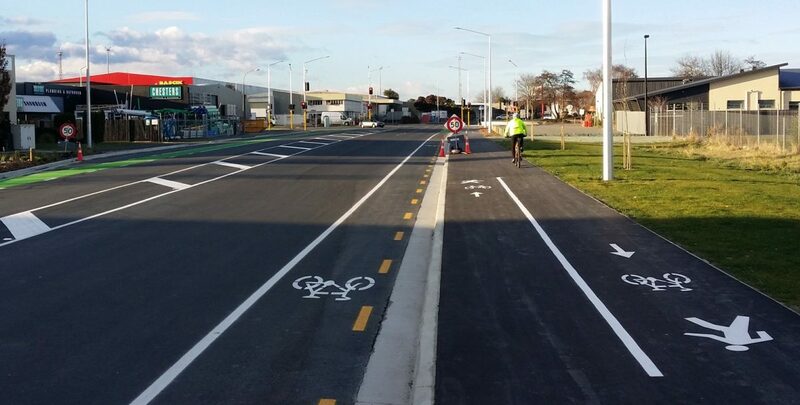 None of the new separated lanes (Colombo, Tuam, St Asaph) seem wide enough for two bikes going at a good clip.